President Trump traveled to Paris on Wednesday, two days before Bastille Day, the French national day. 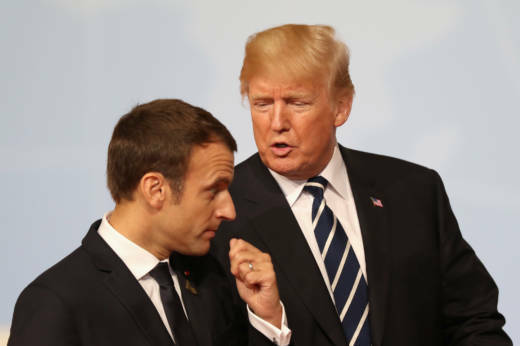 Trump will participate in a joint news conference in Paris with French President Emmanuel Macron where Trump will likely be asked about the revelations that his son met with a Russian lawyer who offered dirt on Hillary Clinton. NPR will cover the conference live. In this two-hour show, Forum discusses the president’s visit to France and the developing news about the Trump campaign’s alleged collusion with Russia.